While at the airport in Bangkok, I was browsing for Thai cookbooks to bring back to the US. 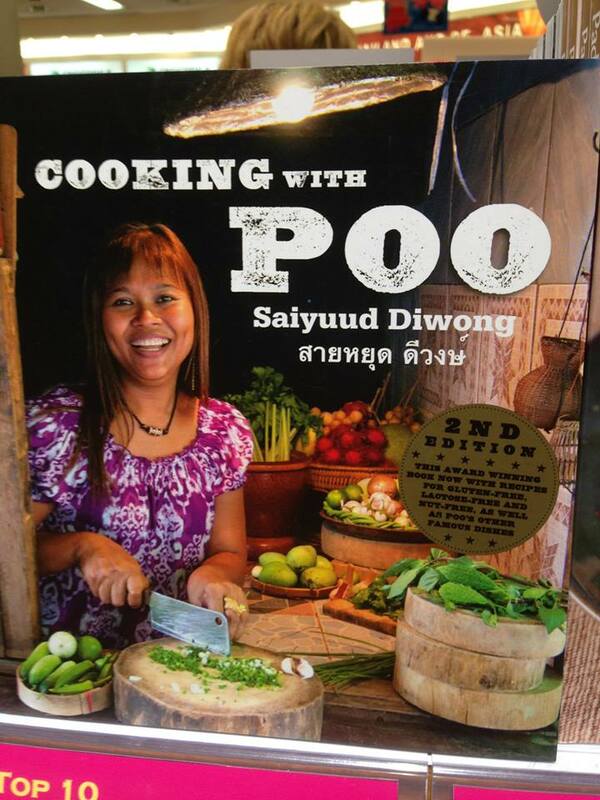 I skipped over this unfortunately titled cookbook (even though the recipes in it looked pretty good). 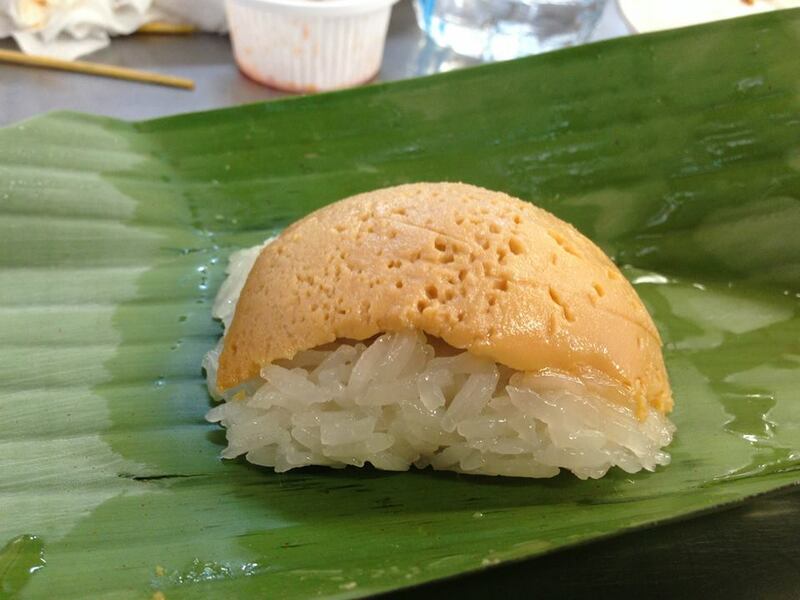 If there’s one Thai dessert that you must eat, it should be sticky rice with custard. Some things just don’t translate well. 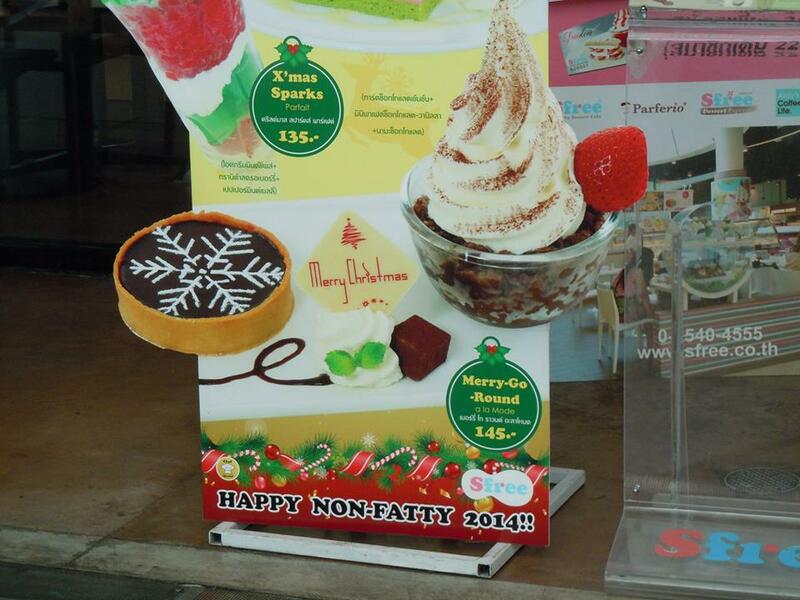 I don’t think I’ll be wishing people “Happy Non-Fatty 2014! 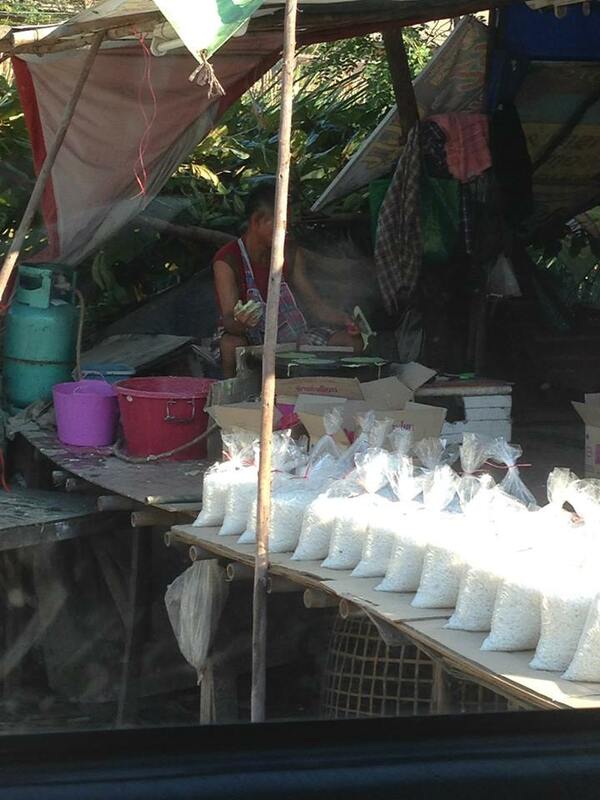 Thailand has undergone a significant amount of modernization and development, but luckily the one thing that hasn’t changed is the abundance of excellent street food that permeates daily life. During my last visit to Thailand, I discovered Roti Sen Ma (which roughly translates to a crepe and silk threads), one of my favorite Thai desserts that’s a specialty of the Ayutthaya area. 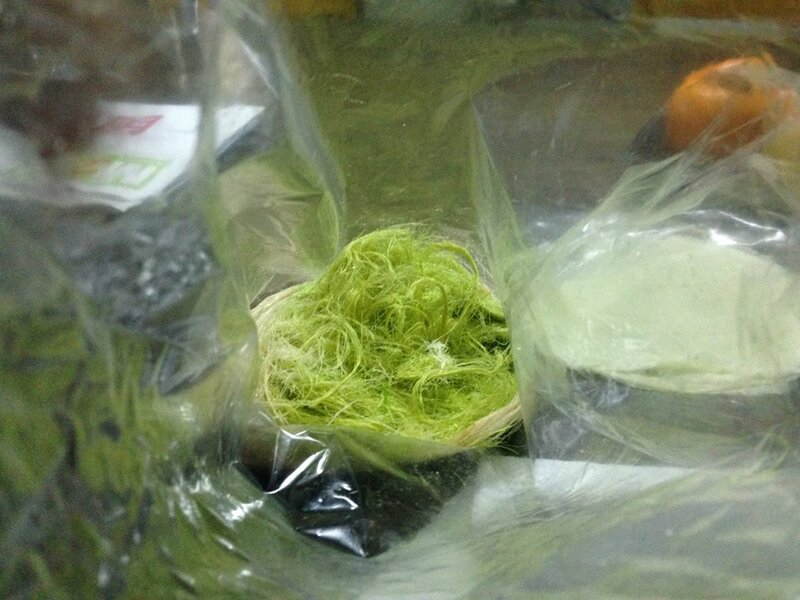 The green stuff is like finely spun, super delicate and slightly crunchy thread-like cotton candy, and you wrap it like a burrito inside of a thin, warm crepe (roti). The crepe is also incredible in its own right. In the photo below, the guy in the background is the best crepe maker I’ve ever seen. He doesn’t use any tools except for his hands and a basic spackle knife (the kind you buy at a hardware store). His crepes are super thin and tender and are the perfect vehicle for nestling in the sugar threads. The only catch for obtaining this incredible Roti Sen Mai is that the stands that make this are mainly located near the area of Ayutthaya which is outside of Bangkok (and not in the usual touristy areas), and most of the stands are located along the side of a large, busy, fast moving highway. So, you kind of have to risk life and limb a bit as you park on the side of the highway and pray that no one hits you or your car while you trot over to the stand to make your purchase. 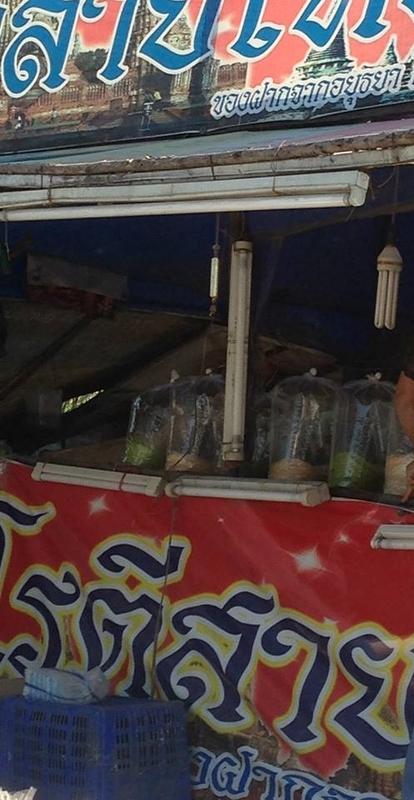 Maybe all that adrenaline enhances the flavor of the Roti Sen Mai even more. This is not at all Thai, but it’s one of the most fantastic desserts I’ve ever had. 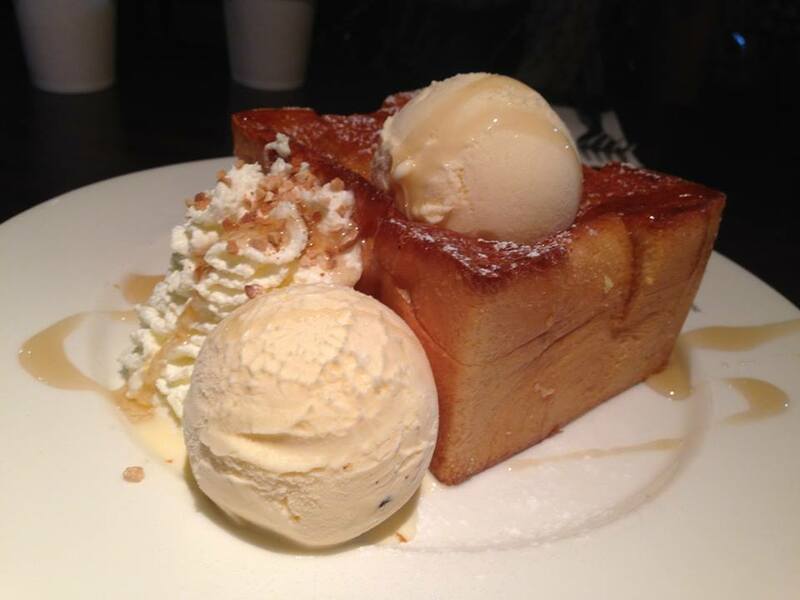 It’s some sort of honey toast that’s a little gooey and custardy in the middle. I’m determined to figure out how it’s made and recreate it at home. And I need to eat this every time I go back to Thailand.